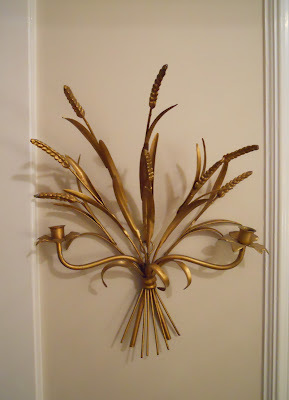 I went through a silver phase in my last house, but when I moved into this home, there was a lot of gold. I have grown to absolutely love it, especially against a white background, with soft pastel accents. These are a few recent absolutely crucial things I have purchased to add to my golden collection. 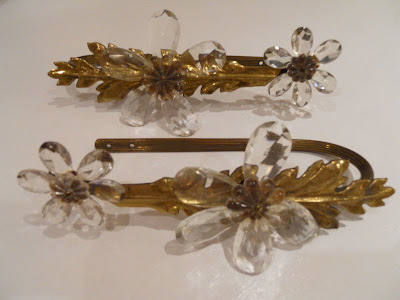 Gold and Crystal Curtain Tie Backs from Heritage Trail Antique Mall, Wilmette. Interesting that the tie backs came before the curtains, but I have never seen anything like these before. Yum! 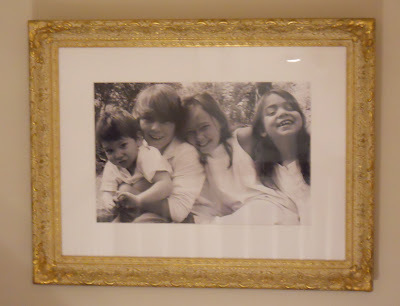 Huge Golden Frame. A birthday gift from the Huntress. Kids all mine. 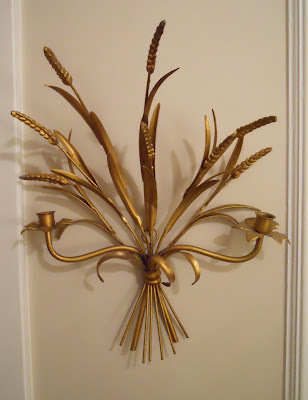 French Golden Wheat Sconces. Ebay tippoff from the Huntress.